On March 5, the women of Good Shepherd, our neighbors in Christ, have invited the women of Hope to a “spring” (the time of new life) gathering, celebrating the “newness” of life we celebrate by being in Christ. 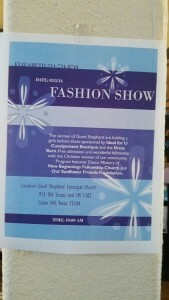 The gathering will be from 10am to noon. 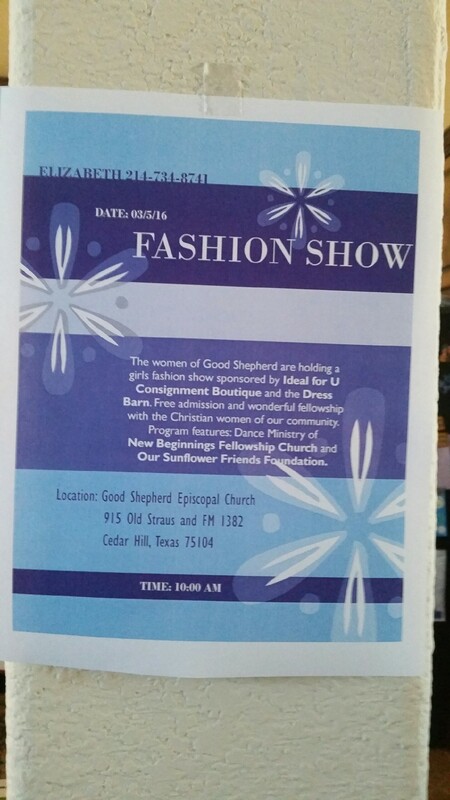 Younger women and youth of Hope and Good Shepherd will present a fashion show as part of the gathering. For details, see the image from the event poster below.